Toyota Motor Corp Katsuaki Watanabe said Toyota may consider setting up hybrid vehicle plants somewhere in the ASEAN region if there is sufficient demand for hybrid vehicles in the region. Although Toyota already has a big presence in the Thai automotive industry, it could also choose Malaysia as it’s hybrid manufacturing hub. Watanabe said it depends on where the demand is coming from. There are no immediately plans, and hybrid vehicle manufacturing requires sophisticated machines. Toyota plans accumulated sales of 1 million hybrid vehicles, running on the road by 2010. 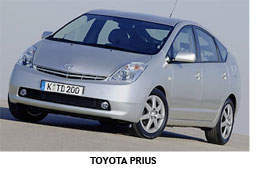 It is already half way there, with sales of 470,000 so far since the introduction of the Toyota Prius in 1997.